STUNNING UPSCALE EXECUTIVE HOME IN LA PALOMA! Located in the CYPRESS CREEK GOLF COURSE community, this unique small neighborhood a tranquil retreat! The home has has luxurious landscaping and brick pavers on the driveway and front patio with double entry front doors! This popular open concept split floor plan with 10” ceilings throughout with separate dining and living rooms. Enjoy preparing meals in the open bright kitchen features upgraded stainless steel appliances, wood cabinetry, lots of counter space, a breakfast bar, planter shelves, pantry with plenty of storage, and a separate eating space. The large master suite has sliders leading to the pool, and his & her walk-in closets. The en-suite features his & her dual vanities, walk-in shower, and a lovely jetted tub. This 3-way split plan has three guest bedrooms with the 4th bedroom having its own private full-bath! Expand your living and entertainment area out into the expansive enclosed large covered lanai overlooking a beautiful sparkling blue pool! The home is conveniently located for easy commute north to Riverview, Brandon & Tampa or south to Palmetto, Bradenton & Sarasota, while still close to big city attractions, amusement parks, and Florida’s fabulous beaches. Schedule your private showing to view this well maintained move-in ready home today! 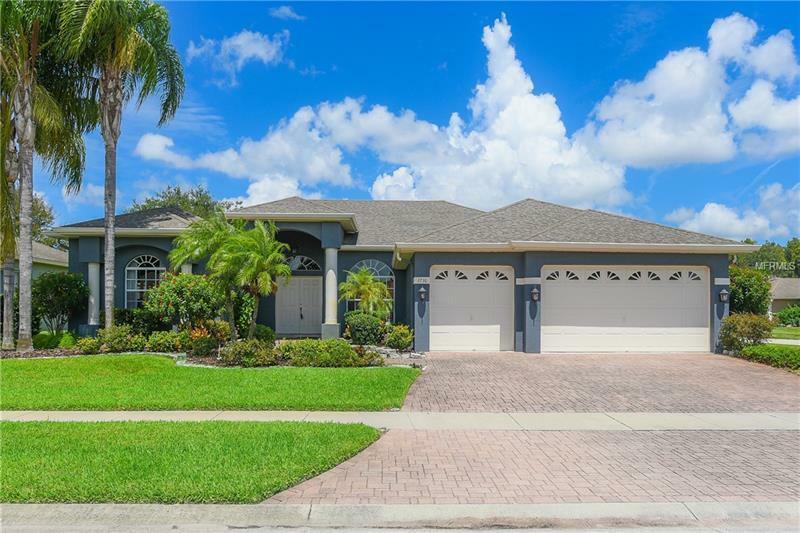 This 4 bed, 3 bath, 3 car garage POOL home is awaiting! Welcome home!